This Workbook with perforated pages is a supplement to Dr. Clark's textbook Logic, and the chapters correspond with Dr. Clark's textbook. Included in this Workbook is the Answer Key at the back of the book, which makes it easier for teachers to use whether in homeschools or in the classroom. 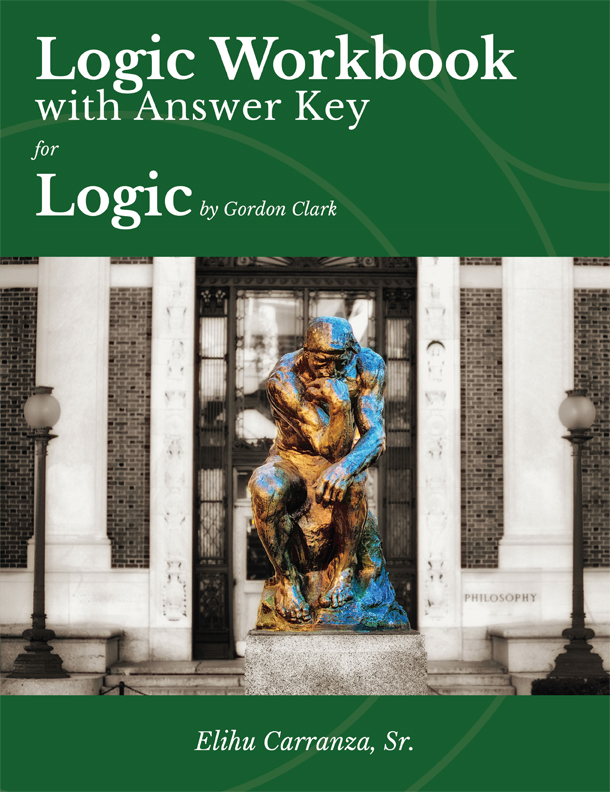 Contents: Acknowledgements; Introduction - To the Student; Introduction - To the Teacher; The Definition of Logic; Informal Fallacies; Definition; The Beginning of Formal Logic; Immediate Inference; Syllogism - Diagrams; The Syllogism - Deductions and Rules; Historical Remarks; Other Forms of Argument; Truth Tables; The Deduction of the Syllogism; and the following Appendices: The Importance of Logic in Theology; Books for Further Study; Test Bank; Answer Key; and About the Author.